So the 80s came and went. But some things never go out of style, in this case, the musical film which sparked off a whole series of popular franchise and spin offs. After a television series and a musical based on the 1980 movie, Kevin Tancharoen directs this 2009 remake – almost 30 years on. And together with it, we get a whole new sound to go along with the times. 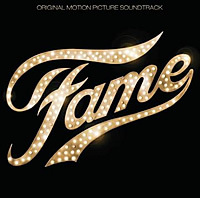 Behold, this soundtrack album will introduce you to the hit franchise that is Fame. The titular track “Fame” that fans of the original movie would be familiar with kick starts this album. Performed by actress Naturi Naughton, this catchy tune is given a contemporary arrangement, and will have listeners loving every second of the energetic track. Speaking of energy, embrace yourself for “Street Hustlin’”, “You’ll Find A Way (Switch & Sinden Remix)” and “Back To Back”. These are tracks which will hook you with electronic beats and vigorous rhythms. While those who grew up with the franchise may find this album a little to adapt to at first, one must realise that we have moved on to an era where R & B and hip hop are the rage, and 80s pop would be somewhat irrelevant with today’s listeners. This is especially evident in tunes like “Big Things”, “Black & Gold” and “Get On The Floor”. The rappin’ and tappin’ would appeal to today’s MTV generation. Fans of soothing music and emotional vocals need not fret, because actor Asher Book will provide you with that. Affecting and moving songs like “Ordinary People”, “Try” and “Someone To Watch Over Me” feature lovely piano accompaniment and the 21 year old good looker’s pleasantly boyish voice. The other song included from the original movie is “Out Here On My Own”, which is also an agreeably enjoyable track to listen to. When the album closes with the big number “Hold Your Dream”, the popular branding that is Fame may have found itself a new generation of fans who will adore this modern genre of music for many years to come.